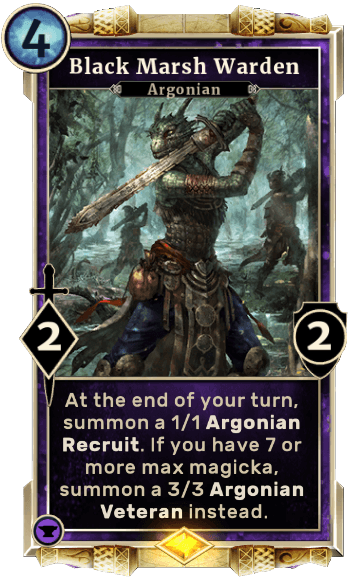 Black Marsh Warden is a Card in The Elder Scrolls Legends. At the end of your turn, summon a 1/1 Argonian Recruit. If you have 7 or more max magicka, summon a 3/3 Argonian Veteran instead.